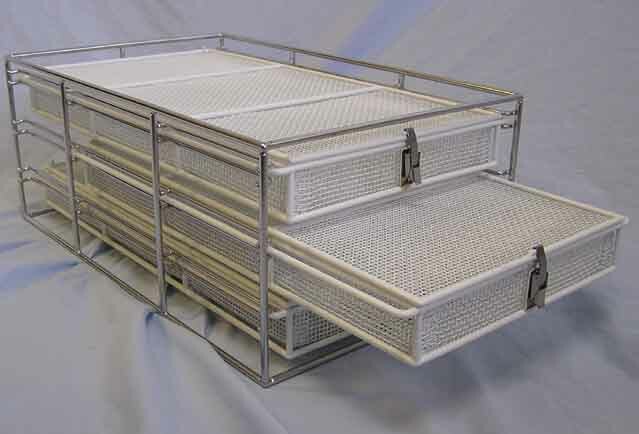 Cleaning System Carriers - EnviroSense, Inc. These are designed for the many different Ultrasonic cleaning systems. Branson, Crest, CAE, Infinity, Blackstone to name a few. Auto lift, manual, or rotation. Lean-Jet, EVD systems. 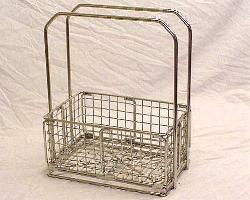 Stainless KaDon replacement baskets. 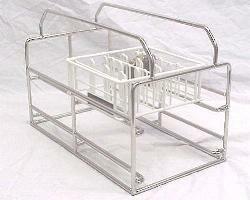 Carriers can be designed for multi-level cleaning. This allows for different products being cleaned at the same time. Carriers can be designed for robotic lift or manual lift. Robotic lift carriers are designed for constant use and manual carriers are designed to be ergonomic as well as light. Inserts can be made to be quarter size or half of full size. Rotation carriers and inserts can also be designed.